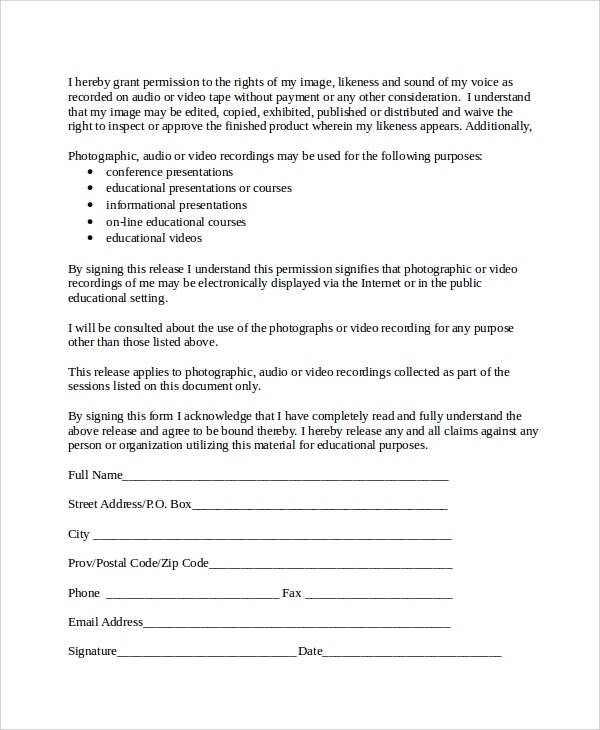 This is a document that the video producer and the client sign so that they can reach a certain agreement. Both parties have to trust each other and work toward the agreed goals and objectives in that consent. The video editor or producer must execute his duties properly so as to retain his client for the longest time possible. When most of these forms are signed, there has to be a witness who verifies this process. He can testify in case anything goes as not expected. 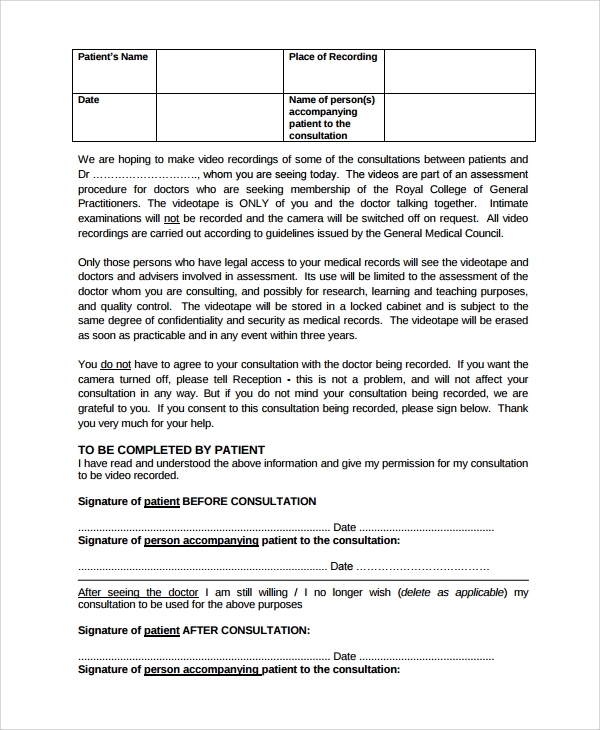 In this type of document, there is a part that the client is supposed to fill in his full names, the date of recording, place of recording and the name of the person who has accompanied him or her to the consultation. The body of this document indicates the person who is going to attend the video recordings. There is also a part that is supposed to be filled by the patient. 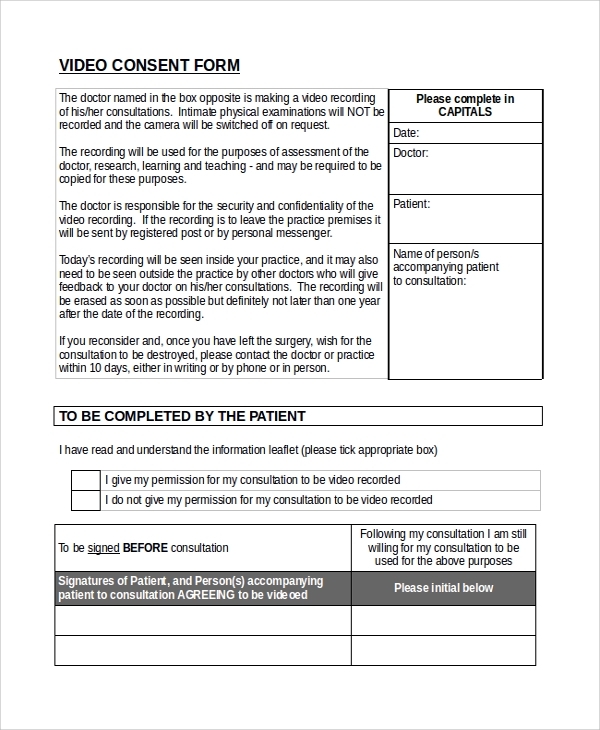 The patient must sign before consultation and indicate the date of that day. The person who is accompanying must also sign and write the date too. After consultation, the patient must sign again. This type of document is developed to secure the agreement of individuals and their service providers. The consent is to be completed by the relevant individuals. There is a part in this template that requires the relevant person to sign and write the date. The names are supposed to be written in capital letters. Another section requires one to fill his address and the postal code. The document requires also a phone number that is used daily to be indicated there. It also in order when one leaves the active email address. There is also a part that requires somebody to fill his physical description and also agree to the set terms and conditions. The name of the event or the project is also required. 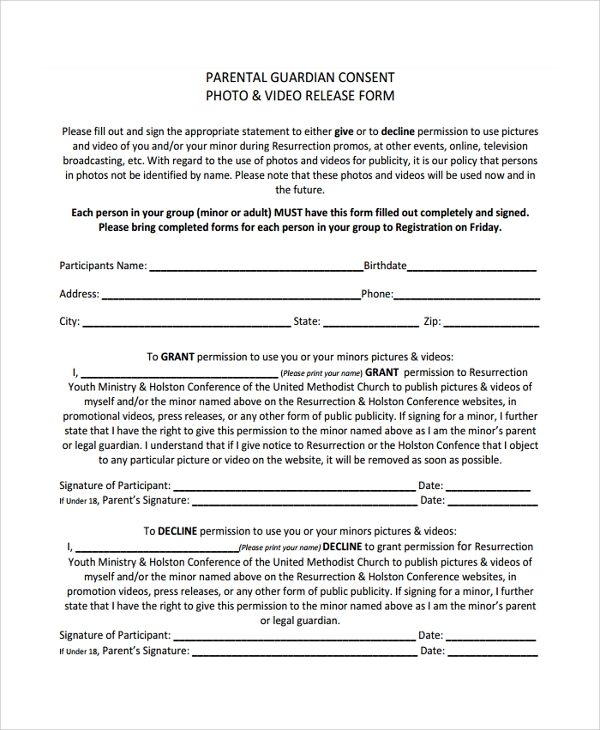 In this template, it indicates the purpose why a parent should grant his or her child permission to participate and appear in any videotapes and photographs. 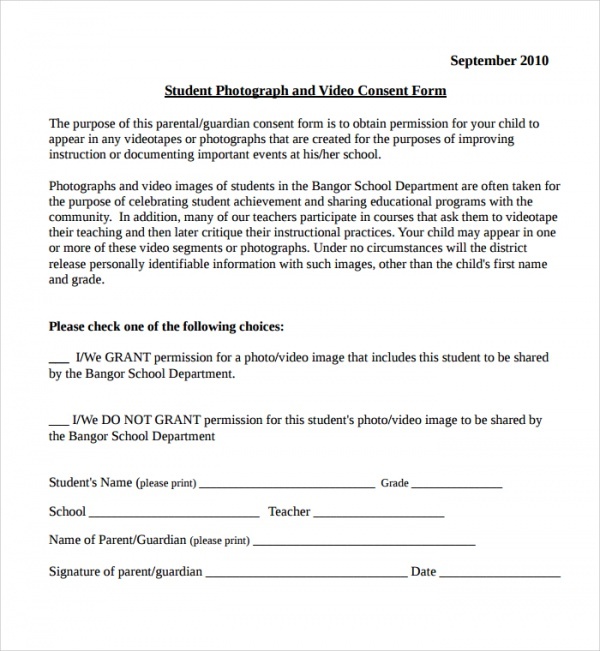 The parent is required to tick in the area provided for him or her whether he agrees to grant his child the permission to appear on the photograph or not. The name of the student should be indicated properly on this template and the grades he attains. There is also a part that must be filled in where the school which the student studies must be written down. The name of the teacher who teaches the child should also be included. 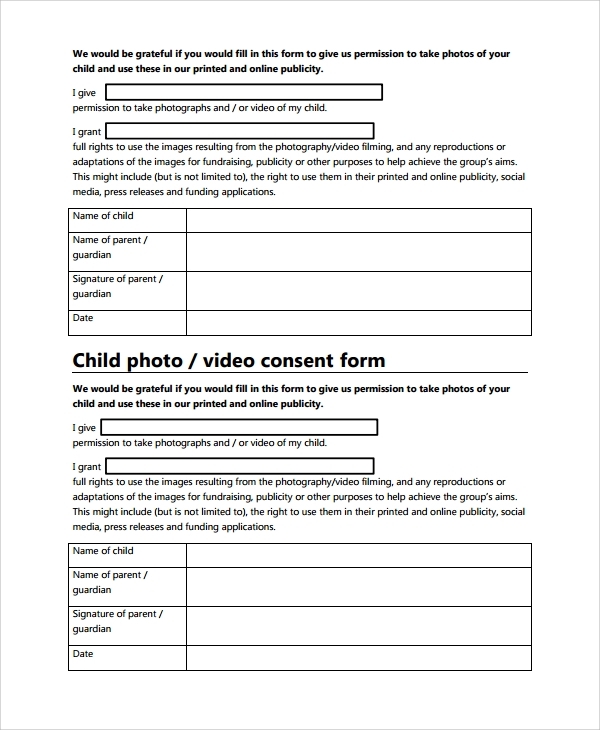 The parent or the guardian must sign and indicate the proper date. 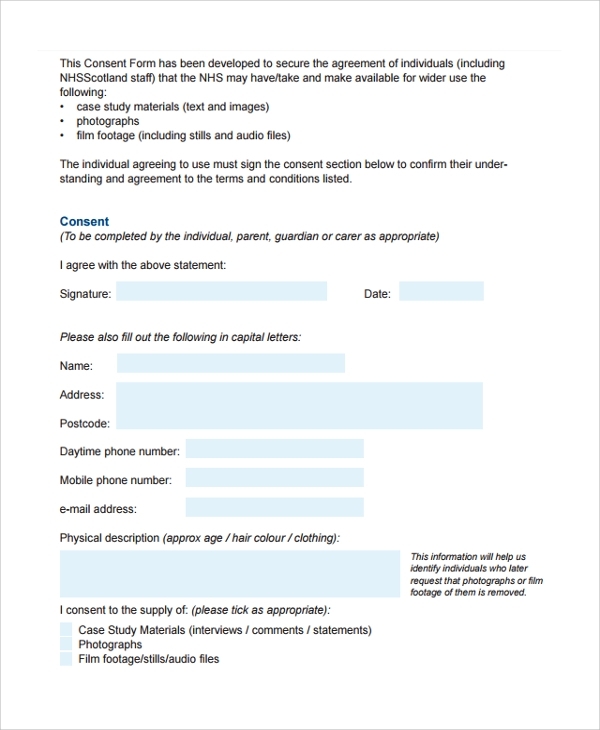 In this template, it starts with a declaration quote which instructs all people to fill in the form completely and sign it. It requires the name of the participant, the birth date, and his address. The phone number that is always switched on is also required to be indicated in this template. The city, state and zip code must be clearly indicated. There is a declaration where the participant is supposed to indicate his name to say that he accepts or declines to the consent. They must also indicate their signature and indicate the date. 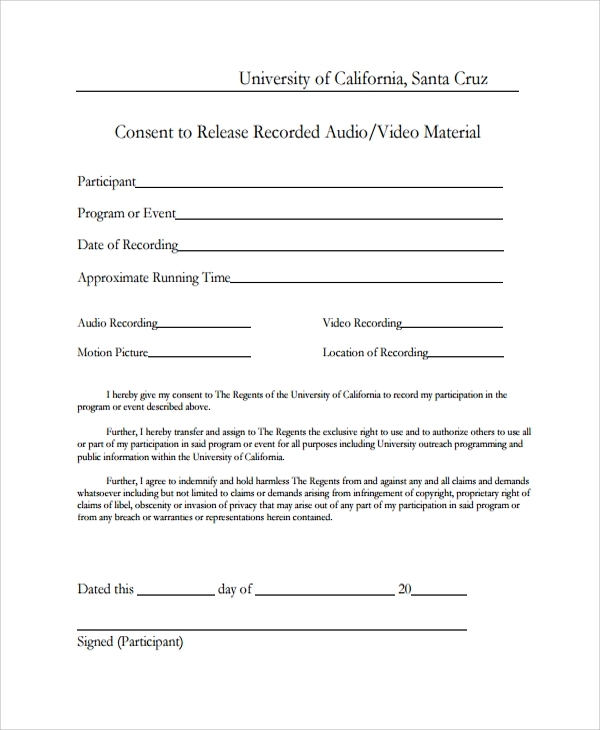 What are the Benefits of Video Consent Form? 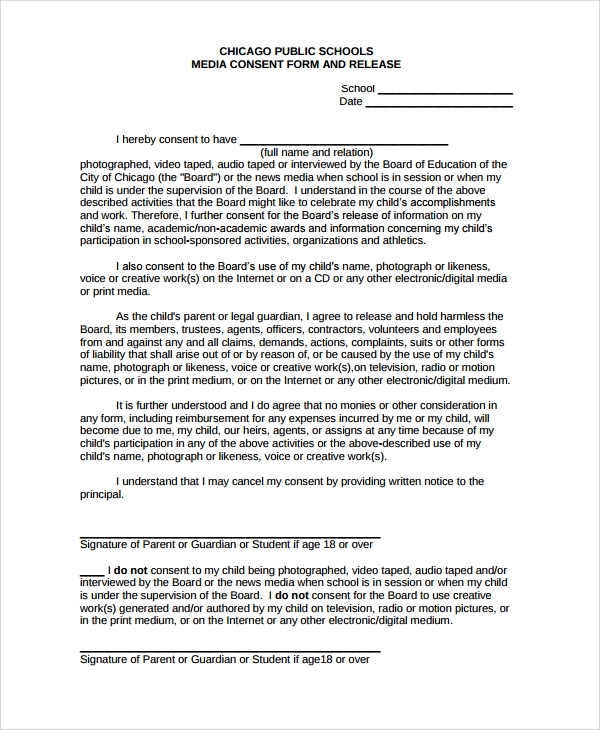 What are the Elements of Video Consent Form? our templates are designed in a good manner that makes them be editable and ready for use. They are affordable and customizable .Apply our video consent forms and create a video consent form that is of high quality.